1. Combine all the ingredients in a bowl. 2. Transfer to an ovenproof tray. 3. Bake in a preheated oven at 180C for 20 to 25 minutes. 4. Remove and keep aside to cool. 5. Before it cools completely cut into desired shapes. Note: image is for illustration purposes only and not that of the actual recipe. 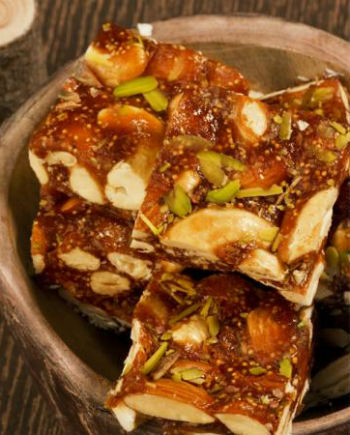 Feel free to comment or share your thoughts on this Chocolate Dry Fruit Burfi Recipe from Awesome Cuisine.